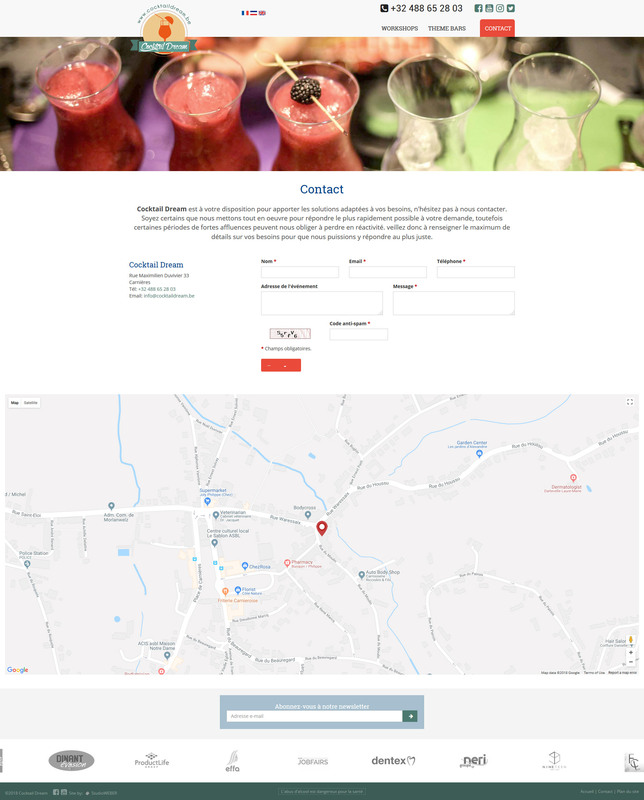 Presentation website design and development for a Belgian company that provides private and corporate bar tending services. 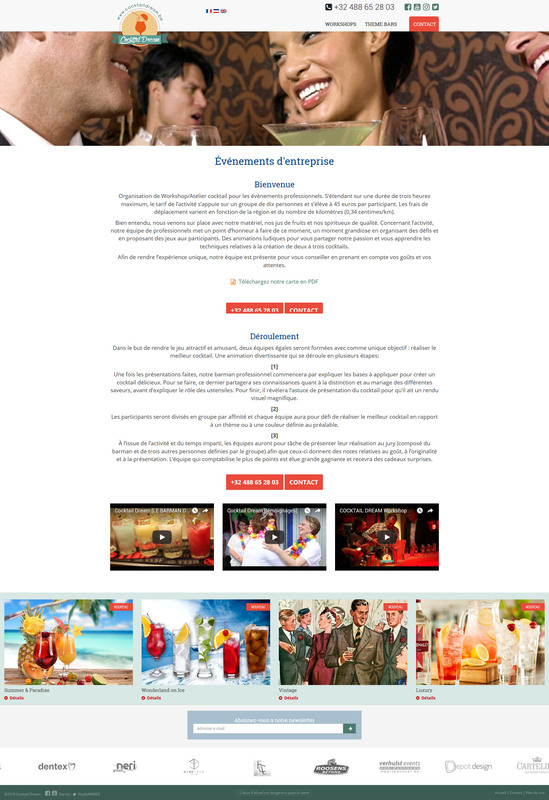 The site has an original custom made design with proprietary Content Management System (CMS). 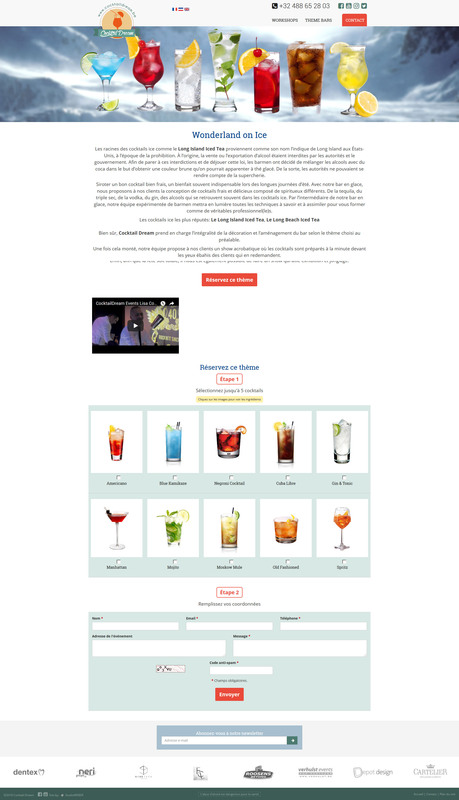 The site is made with 3 language versions, it features an original order form where the users can select up to 5 cocktails for each Theme Bar that is available on site. The custom made CMS features on page SEO functions where the site admin is able to change the page meta titles, meta description and meta keywords. It also allows the admin to enter the well known social accounts such as Facebook, Twitter and YouTube, as well as the Google Analytics code. 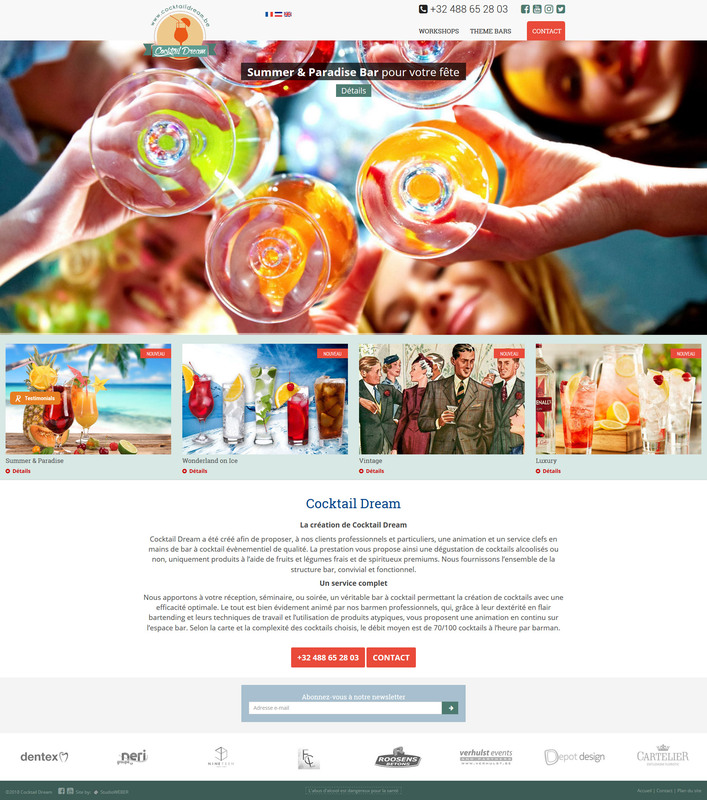 The site is made with Responsive technology, it will display automatically on each device: desktops, tablets or smartphones.